New Directions Publishing Corporation, 9780811214339, 135pp. Veronica--Pontius Pilate's wife--is beautiful, brilliant, and weary of a life spent in her boudoir and the Roman court. When one of her lovers sends her disguised as a servant to a seer, she feels suddenly alive, experiencing "sudden pre-visions of inner splendor." The seer, Mnevis, arouses the artist, the dreamer in her, eventually telling her of a Jew, a "love-god," who believes women have an important place in the spiritual hierarchy. What follows is a chain of events in which Veronica commits the one genuine act of her life, offering Jesus a "way out" before his crucifixion. This revision of biblical history--in the tradition of D. H. Lawrence's The Man Who Died and Kazantzakis's The Last Temptation of Christ--is not just a novel; but part of the ongoing dialogue about the feminine and divine. 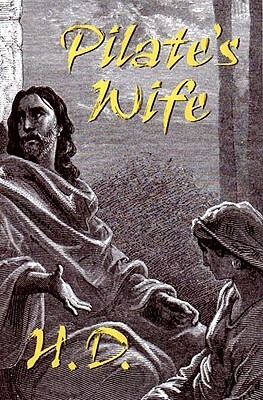 Pilate's Wife was written by H.D. in 1929, revised in 1934, and is now finally published by New Directions, edited with an introduction by H.D. scholar Joan Burke. It is a testament to Alicia Ostriker's claim that, among the women poets and novelists of this century, "H.D. is the most profoundly religious, the most seriously engaged in spiritual quest."